I hope that everyone had a great Father’s Day this weekend. I wanted to make something special for Mike on Sunday since it was Father’s Day. Mike has been a great father to our four children and really deserves something special on a day that honors fathers. He loves blueberries, lemon, and quick breads, so I started looking for a recipe that would feature all three of these things. 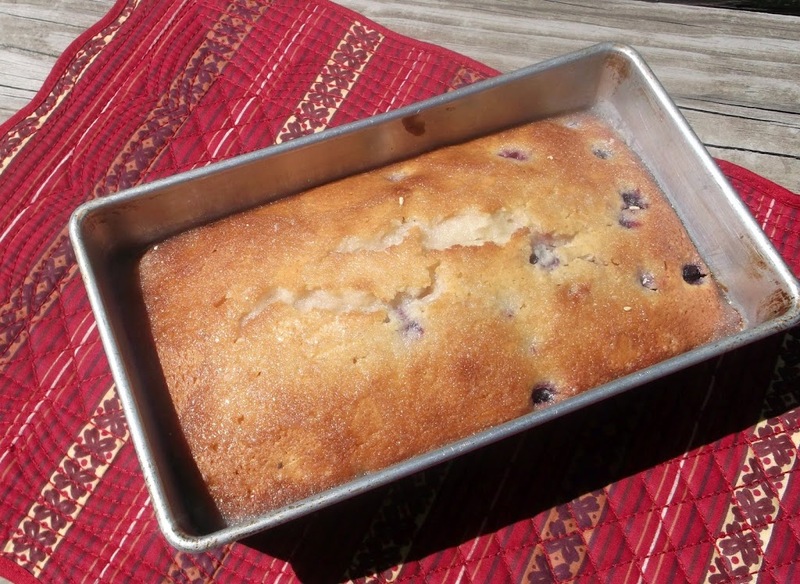 I found a wonderful quick bread that included the lemon and blueberries. 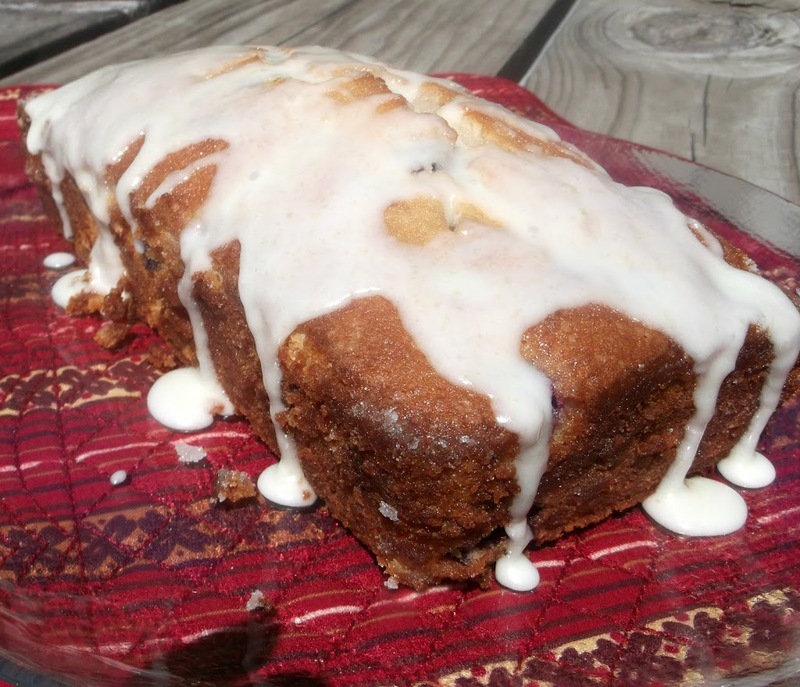 This bread is super moist along with the wonderful flavor that the lemon gives it. After the bread is done baking you pour a lemony glaze over the bread, which is where the moistness comes from. But I went one step further. I made a powder sugar icing and used some grated lemon peel that I had left over from the bread to make it just a little bit more lemony and sweet. You see Mike loves his frosting/icing just about on anything and since it was Father’s Day I had to give him what he loves. Mike loved his bread along with our kids who had to sample it too. This bread is great for any occasion and is so easy to make. I hope you will give a try. In a large bowl, beat the butter, sugar, lemon juice, and eggs. Combine the flour, baking powder, and salt; stir into egg mixture alternately with milk, beating after each addition. Fold in the blue berries and lemon peel. Transfer to a greased 8 inch x 4 inch loaf pan. Bake at 350 degrees F for 60 to 70 minutes or until a toothpick inserted near the center comes out clean. Combine glaze and pour after it is taken out of the oven. Cool 10 minutes and remove pan to wire rack and cool completely. Combine the ingredients for the icing and drizzle over the bread. 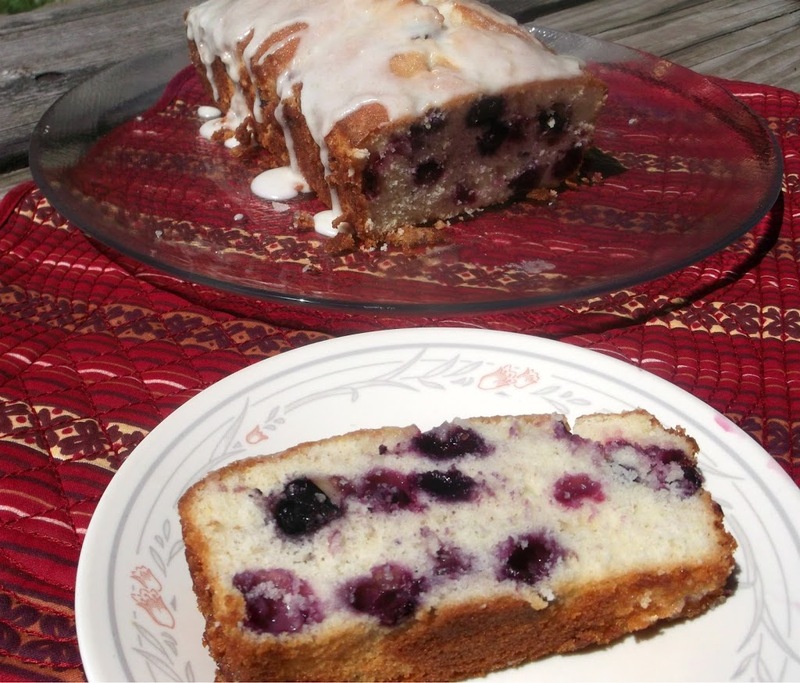 This is my kind of sweet bread… I love lemon and blueberries together. I love lemon bread. Adding blueberries and then glazing it must be delicious. I know that it was a much appreciated father’s day gift.